MFA files formal complaint over Breaking the Silence's exhibit on 'life in the West Bank' to Bern; Zurich: this starts dialogue. Israel has lodged a formal protest with Bern over Swiss funding for an exhibit by extreme leftist NGO "Breaking the Silence," officials said Wednesday to AFP, following a declaration by Deputy Foreign Minister Tzipi Hotovely (Likud) to fight the group. The exhibit will open in Zurich later this week. 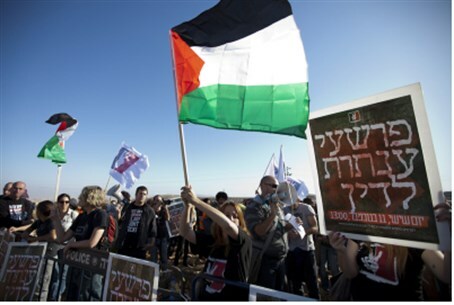 Hotovely is determined to prevent the exhibit from taking place, ordering both the ministry and Israel's embassy in Bern to examine ways of preventing it, ministry spokesman Emmanuel Nahshon told AFP. The exhibit allegedly sheds light on the day-to-day reality of life in Judea-Samaria - dubbed "the occupied West Bank" - and has received funding from both the Swiss foreign ministry and the city of Zurich, officials told AFP. A foreign ministry spokesperson confirmed Bern made a contribution of 15,000 Swiss francs ($16,000/14,300 euros) to the exhibit. A spokesman for Zurich's finance department confirmed donating 10,000 Swiss francs from a fund which can be used for various non-profit organizations. understand this and can make up their own opinion."